I have no desire to be famous, yet I would like the money that often goes with fame. "Be Careful What You Wish For: You Just Might Get It." I enjoy traveling around the planet looking at all the wild and crazy things, my life is never boring, this lifestyle is a great place for a curious boy like me. I am grateful, in a way, I have an introspective life on steroids. "I have an introspective life on steroids." I will translate; I have unlimited ability for unlimited self-examination: the detailed mental examination of my own feelings, thoughts, and motives. I am rich in "Introspection Time." I want to share this feeling with my family, friends, and readers, there is nothing that has made my life more enjoyable, than when I un-hooked from the USA cultural need to be "part of" something and started an introspective life. I love all my friends, I have an overabundance, and because I can make friends with anybody sitting near enough to talk, I am sure all is good. However, friends, acquaintances, and other carry around hooks with bait. They will throw out the bait, expect me to bite, and the next thing I know, I am off doing something that is not really fun. Now, I love to just hangout and talk about anything. They take me to do "Chores" with them, or take me to do work. Well, I am writing a book, and it will be finished, but I am worried. I find myself hoping it is a 100 percent flop. The reason is this, I do not want acquaintances wanting me to talk about the book. I like writing it, I am sure I do not want to talk about it, it is something I know about, nothing new to me. I am writing the book because it can help people to enjoy life. 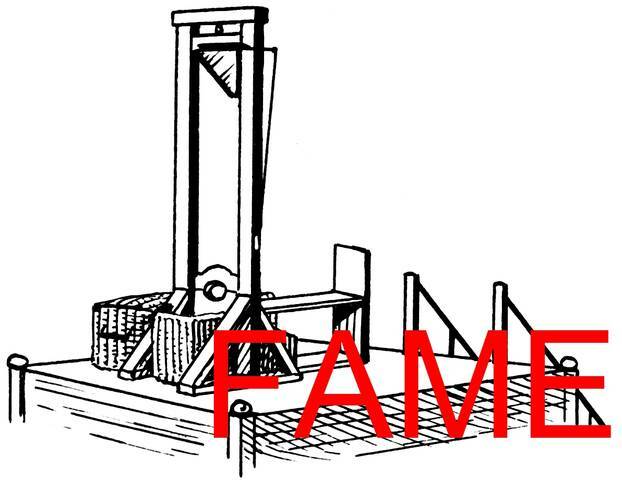 Fame has to one of the worst forms of torture on the planet. I think inherently people want somebody to listen to them, and appreciate them. Writing is like that, you write something, and hope the reader understand. Yet, if I write something that is truly good, I do not need anyone to read it. By writing, I am able to understand myself, and my world, that is all I need in life, to understand me, after that all else is a bonus. Again, this Damn book, I am very protective of my introspection time, it would be hard to do if someone was knocking on my door. Give me money, I truly have no use for the fame, are is that how I earn the money, by sacrificing a pound of my flesh in return for money. I am rich, I had the time to sit here and think about all the words above, there are truly some good Gods to blame for all this.